If you have a toddler you probably know what Kinder Surprise eggs are. 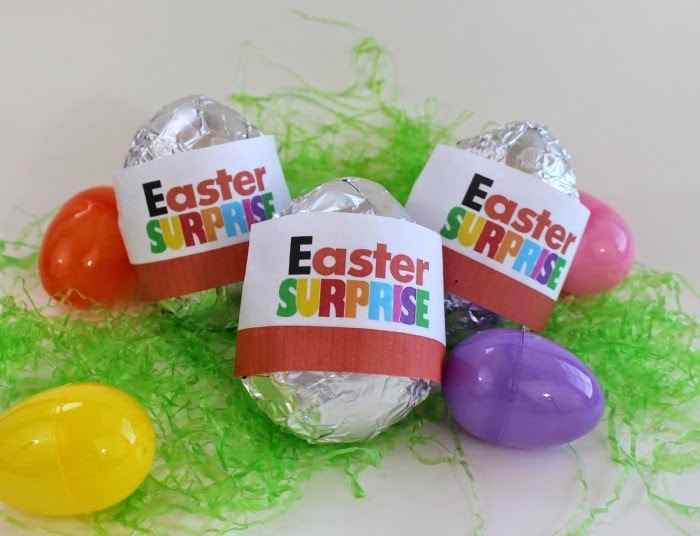 They are these hollow chocolate eggs that have surprise toys inside of them. My daughter discovered them on YouTube and had been hooked on watching them. I have to admit that I get caught watching them too sometimes! I wanted to find some for my daughter but then realized that they are banned in the US. The reasoning is that the US has a ban of toys being embedded into candy. My creative gears started turning and I decided to attempt to make some for my daughter as a special surprise on Easter. I bought some silicone egg molds, semisweet chocolate chips and white chocolate chips. 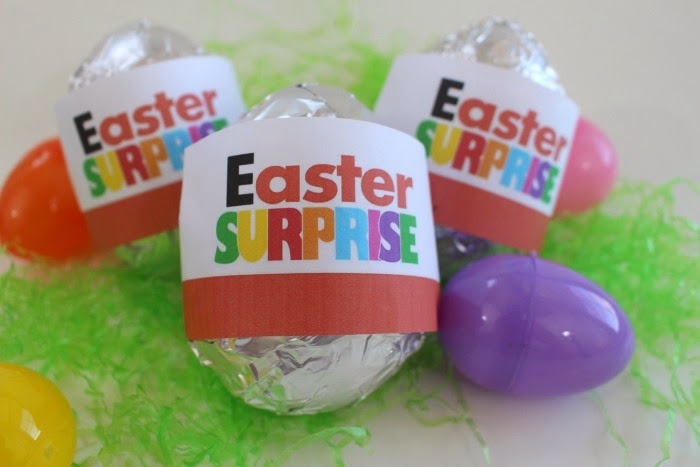 I purchased some really small toys to go inside the eggs and got some foil to wrap around the eggs. 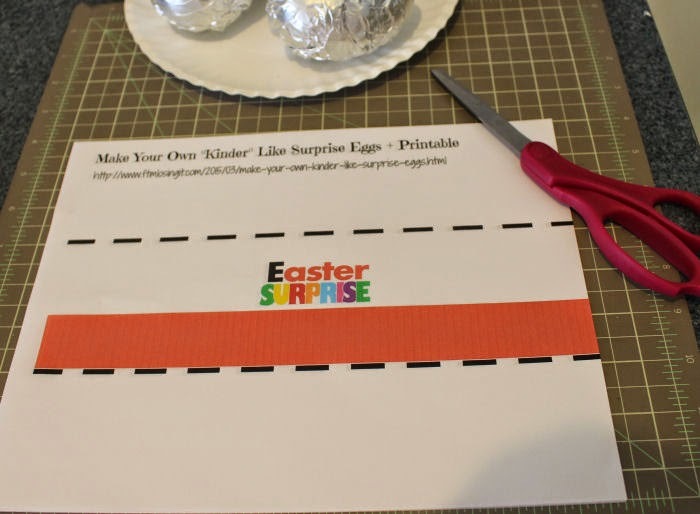 I wanted the eggs to look legit to a toddler so I created a printable that you can wrap around the eggs. 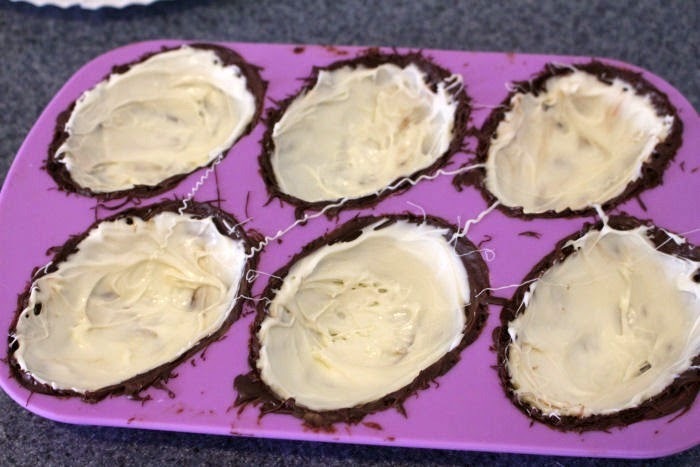 The first step is to melt the semisweet chocolate and the white chocolate in separate bowls. I used a double boiler to melt the chocolates. 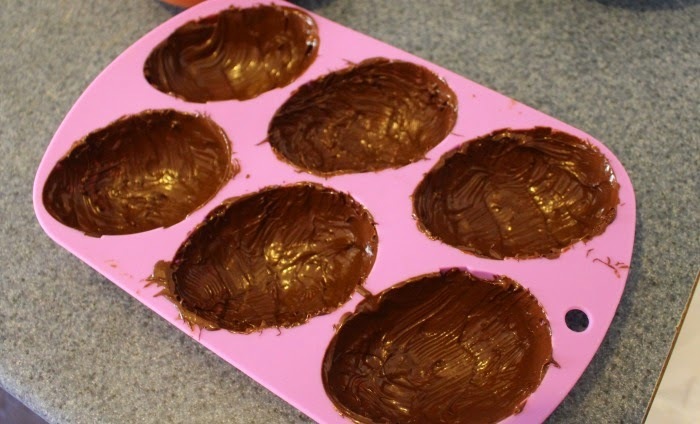 I took a silicone brush and brushed a layer of semisweet chocolate onto the egg molds. I put it into the fridge and let it harden. Then I repeated the steps one more time for a total of two layers. Repeat the steps one more time with the white chocolate. While the eggs where hardening for the last time I took out some aluminum foil and cut it into "9 by 7 " rectangles. I printed out the wraps and cut them out. 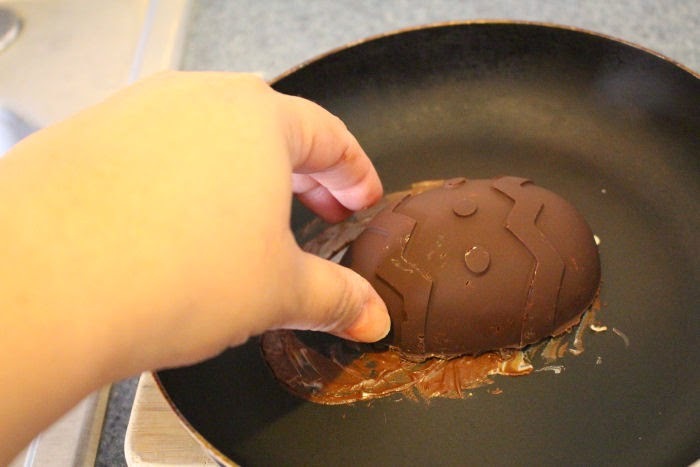 Then I took the eggs out of the fridge and popped them out of the molds. I took a small frying pan and heated it up a little and turned off the heat. I put the toy in one of the halves and then took the other half and put it cut side up in the pan so the edges could melt a little. I took the two halves of the egg and placed them together to seal. I put them back in the fridge to harden the seal. Finally I took the foil and wrapped it around the completed egg. Then I took the printed wrap trimmed the top bottom and sides to fit perfectly and taped it around. I love this idea! How creative! Thanks for sharing this. I might need to try it soon. This is awesome - especially since we can't get the real thing here in the US. This is a cute idea. These probably taste better too!!! 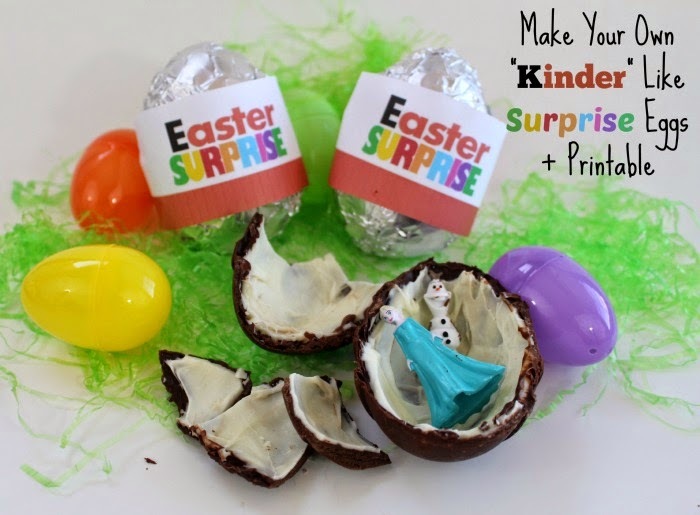 I've never heard of Kinder Surprise Eggs! I know that my kiddos would love these. Heck, I would love these. I can't wait to surprise them with these. What a cute idea. I wonder why the US forbids small toys inside chocolate--wonder if they were small chocolate toys or spun sugar (edible) toys if it would be allowed. I love that you found your own way to do this. They came out really cute! This is brilliant! I love when you can recreate things at home. Pinning and sharing! My daughter would love this! Brilliant! Always so creative! 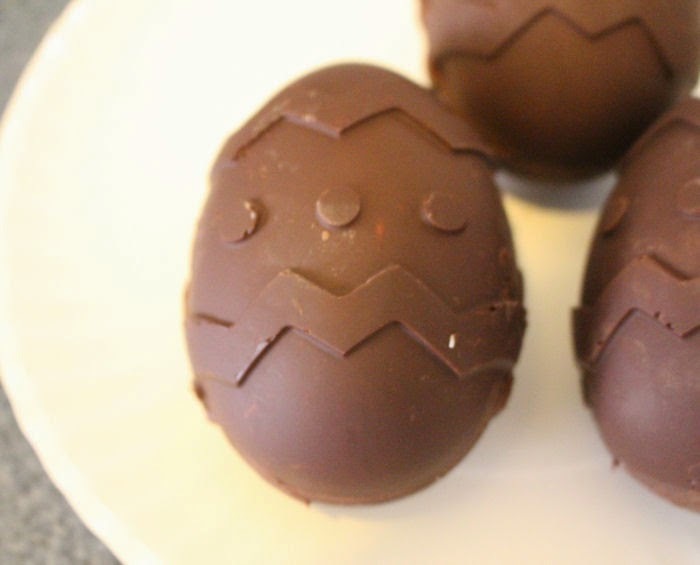 I love these and would love to make them for the little ones in the fam! I am going to work for those for my son! Love the idea! Thank you for sharing it! Those are so fun! I love that you get to choose what goes in them.